It’s 2019 and we are back to full steam ahead. 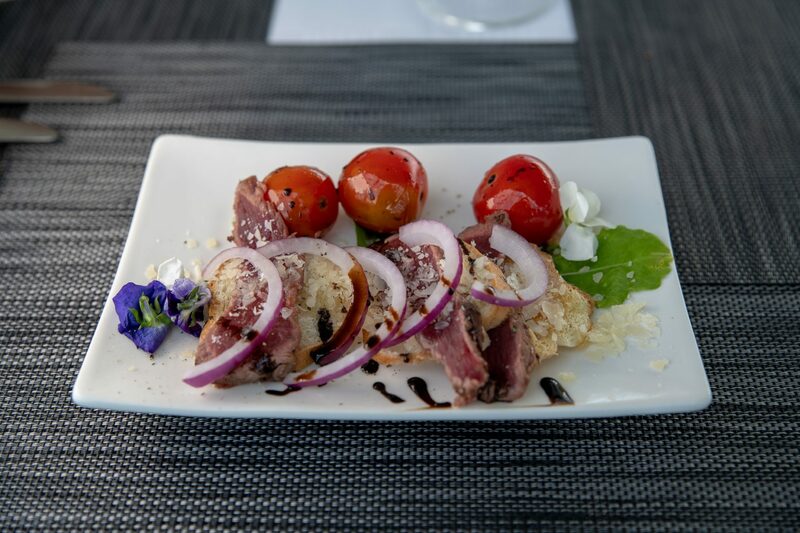 If you’re still longing for a bit of a holiday vibe, why not give The Alba Restaurant a try? 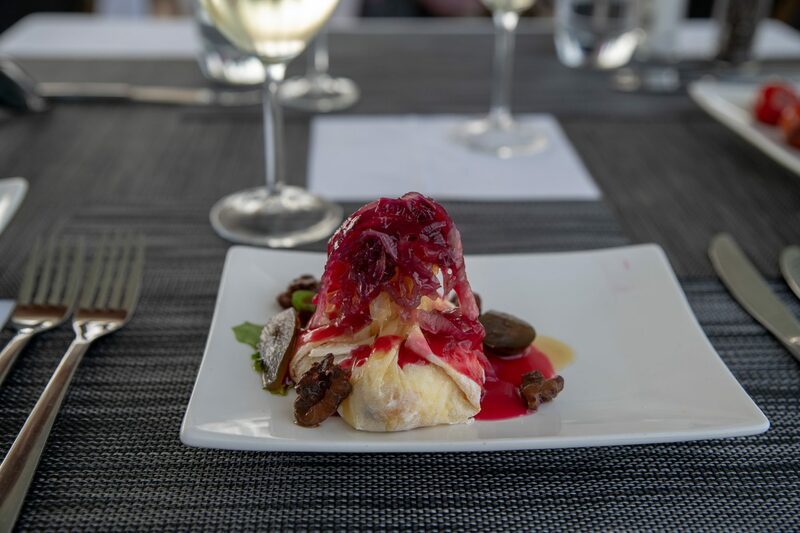 The Alba is a floating fine dining restaurant which cruises in and around the V&A Waterfront harbour boasting beautiful views and great food. I visited The Alba in November during a quick work trip and enjoyed the 3 course lunch cruise. There’s also a choice of a bubbly brunch cruise, an afternoon cocktail cruise, a high tea cruise or a dinner cruise. Upon docking the boat, we were served a glass of sparkling wine. For my starter I chose the baked camembert parcel with a berry compote. The pastry was crisp and oozed lovely warm baked camembert. Loved this starter. 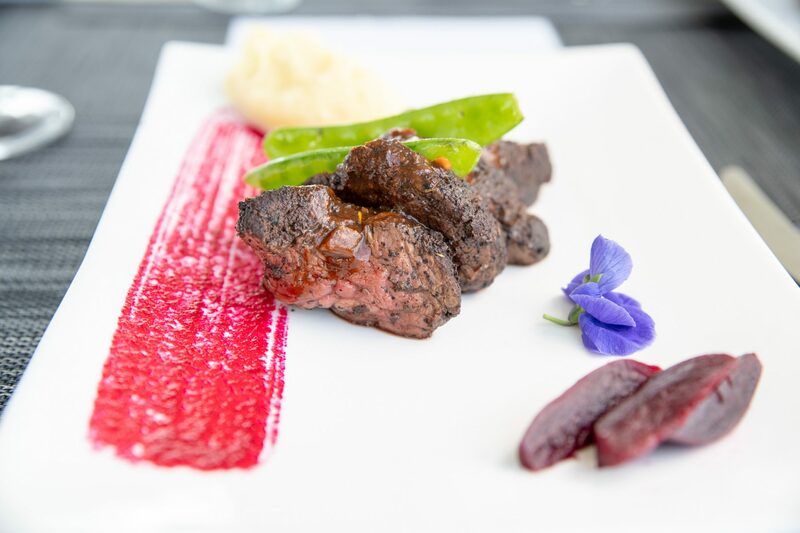 For my main meal I opted for the beef fillet medallions which were served with creamed mashed potato, beetroot and mange tout. My fillet was perfectly cooked and very flavourful. For dessert I had the chocolate mousse with pistachio and chilli, a contemporary option. 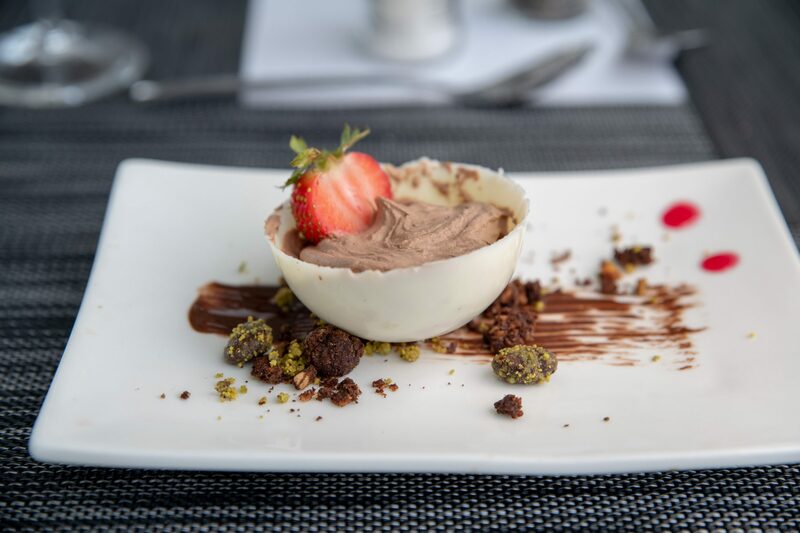 The mousse was light, creamy, smooth and well balanced by the lovely crunch of the pistachio and a subtle bite of the chilli. Really enjoyed this dessert. The service at The Alba doesn’t quite match the description of ‘fine dining’ and I wouldn’t recommend this for a long leisurely meal. There are understandable time constraints due to the various set cruise times, however I have to admit to feeling slightly rushed (mind you, I am notoriously known for being a ‘slow eater’). While the service at The Alba wasn’t the greatest, the food was absolutely lovely and the views are quite special, making it an overall worthwhile and memorable experience.